On Thursday, Iraqi’s militarized federal police launched an attack to seize Mosul’s airport from the Islamic State while Iraqi special forces entered the sprawling Ghazlani military base nearby. The attack began with U.S.-led airstrikes overnight, followed by a coordinated assault on the airport, and Iraqi forces have captured the runway and are fighting scattered ISIS fire from inside airport buildings. “We can confirm that the Mosul airport militarily has fallen and it’s a matter of short time to fully control it,” said Counter-Terrorism Service (CTS) spokesman Sabah al-Numan. The airport and military base are on the southern side of Mosul, and the ISIS-controlled western side of the Tigris. Iraqi forces drove ISIS out of eastern Mosul in January, and five days ago began the campaign to retake the entire city, Iraq’s second-largest. 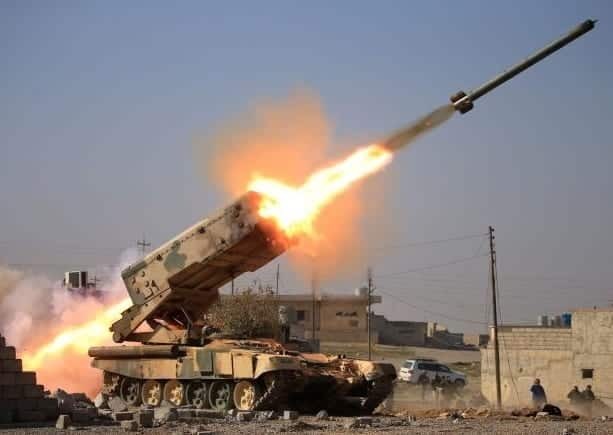 The airport runway has been destroyed, but occupying the land and Ghazlani base will help Iraqi forces control southern routes to the western part of the city. This entry was posted on February 23rd 2017 at 9:18am/09:18 and is filed under Live News Column 1, Politics, Terrorism, World News. You can follow any responses to this entry through the RSS 2.0 feed.